All of the below solutions is in continuation of the Binary search Tree program which is written with this post therefore I am not passing root to every method, it is referred from the BinarySeachTree class. Problem 1: Write a program to print the nodes by levels. This is nothing but the Breadth First search. You will have to use a Queue to track the nodes. Problem 2: Write a program to check whether a tree is Binary Search Tree or not. You just traverse node by node and check for the Binary Search Tree conditions. Problem 3: Write a program to Find lowest common ancestor of two nodes. For example in below tree – the lowest common ancestor for 2 and 5 will be 4, the lowest common ancestor for 4 and 7 will 6. Problem 4: Write a program to compute the size of a Binary Search Tree. We can easily define it recursively. It will be the sizeOf(left tree) + sizeOf(right tree) + 1 (root). 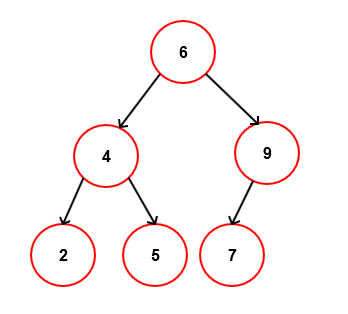 Problem 5: Write a program to find largest Binary Search Tree in a tree. Problem 5: Write a program to create mirror image of a Binary Search Tree. Problem 6: Write a program to check whether a BST is mirror image of other BST. Problem 7: Write a program to find the height of a Binary Search Tree.